Custom rod builders have been using, and debating, micro guides for several years. Once rare, these small rod guides are now more widespread than ever before, but is there good reason to use them? The short answer is yes, micro guides can improve your rod performance, if used in the right fishing application. Over the last couple of years, there seems to be less of an argument if micro guides actually can improve overall performance for rod blanks. In a nut shell, by having more, and smaller, guides on your fishing rod – line slap will be reduced when traveling through the guides, and distributes stress more evenly along the entire blank. The end result is generally longer casts, improved sensitivity, and more overall power from your rod blank. However, micro guides are certainly not for every application. So, let’s start by diving into the basics of micro guides, and cover applications where it may, and may not, be the best solution. Basically, the more guides that help absorb the load put on the fishing rod, the less stress that is applied to any one particular rod section. For demonstration purposes, (see figure below), let’s compare two generic spinning rods. One is set up with five conventional guides; the other is set up with 10 micro guides. Let’s look at what happens when pressure is applied. 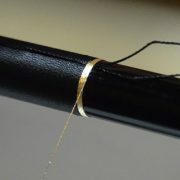 As you can see, the micro guides keep the line closer to the rod blank than conventional guides, and because there is more of them, there is less stress placed on the blank between those micro guides. You can also see the higher bend radius of the blank between each of the conventional guides. 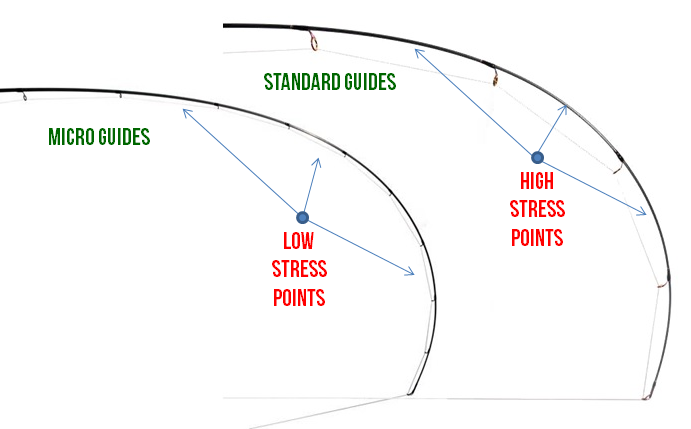 Given the same force, this means that conventional guides have a higher chance of rod failure at those high stress areas, than using micro guides. The less you mess with the rod blank, the more the blank’s original performance is maintained. The blank by itself has the most performance. Hypothetically, if there was a way to run the line through the middle of the blank, that would lead to the highest performance, because no additional material would be needed to maintain the original action. Sine that is not reality, what we can do is apply the least amount of material as possible, (guides, thread, epoxy, etc…), while still maintaining the needs of the fishing application. Micro-guides are much smaller and lighter than conventional guides, which means there is less material used, and therefore leads to better performance because it inherits more of the blank’s original and natural action. 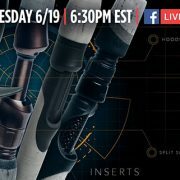 When you first look at micro guides, you may think there is no way that these tiny guides will actually improve casting distances. However, if you think about what goes on during the cast, it actually makes sense. The line runs off the spool and down the guides, so the more friction that the line comes in contact with, the more it hinders the casting distance. Conventional guides allow the line to twirl and bounce its way down the rod, and hitting the edges of the guides more often and on some set ups, hits the rod itself. Each time it rubs against something, energy is lost, and results in shorter casts. With micro guides, the line is kept in the smaller guides, off the rod, and significantly reduces the amount of rubbing that goes on as the line travels down the rod. You may think that having that many more guides will actually increase the overall guide weight. However, the weight of a complete set of micro guides, for a typical casting rod, is often much less than two of the first couple of conventional guides used on factory produced rods. Also, because these are micro guides, you actually use less thread and epoxy during the build. Is there really that much difference in weight, and does it matter? Well, it matters if you want the most performance out of the rod. If someone is using a factory rod, then they probably don’t care. However, we build custom rods, or rods for clients, because the factory rods do not offer the solution or performance needed and/or desired. 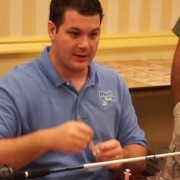 So within that context, why not use micro guides and squeeze all the performance and action out of the custom built rod? For all the reasons mentioned, the one result you may be surprised with is the increased sensitivity. When you strip off as much of the material and weight as possible by using micro guides, you really are fishing with as much of the blank’s original action as possible and that can be felt through the rod into your hands. Have you ever packed a rod in your holder only to knock one of the guides on the side, and pop out the insert? Micro guides fit into rod tubes aboard a boat more readily than standard guides, and are less subject to damage. Some claim that micro guides have a higher survival rate after being stepped on compared to conventional guides, although we are not sure about that one. Our advise is not to test this theory, and just don’t step on your guides, it’s bad, ok? For an extra Scooby snack, another benefit when using braid and casting into the wind, your line will be less likely to wrap around one of the guides. 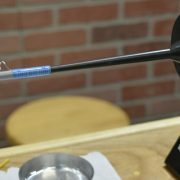 This is a really good summary on micro guides from Todd Vivian, who is Mud Hole’s VP of Products, and a lifelong rod builder. 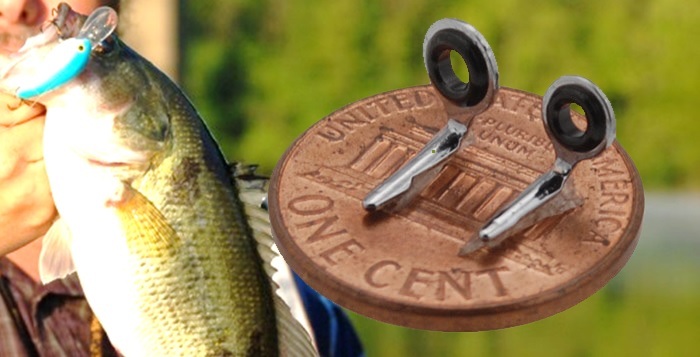 “Micro Guides are ideal for reduced weight and increased castability. Characterized by their miniscule insert rings, Micro Guides are very possibly the biggest innovation since the Fuji Concept System in the late 1990’s. Although small super lightweight guides aren’t new to the fishing rod industry as they had been being used quite extensively in the 80’s and 90’s in Europe for carp rods. The main differences in today’s guides are that they are the lowest possible frames and smallest rings available for the application the end user has in mind. In general, anytime you are looking for increased distance and performance, micro guides are a good choice to consider. 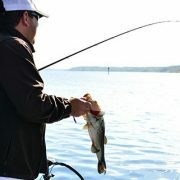 Applications like flipping and crankbait fishing are perfect examples. With crankbaits, you often want a long, accurate cast so your lure has enough time to dive to the desired depth, and you want the sensitivity to feel what the bait is running into, if anything. With flipping, you want the line to run off smoothly for a gentle, low ripple, water entry. Plus, with micro guides, you will not have to deal with those tip top line loops when pitching around docks. Another consideration is rod blank material. For example, if you are using a high modulus blank, micro guides will certainly help spread out the stress load, as well as keep as much of the original action you paid for in that high-mod blank. Micro guides are certainly not for every application, and as Todd mentioned above, if you are using knots and line that do not fit within the micro guide dimensions, then obviously those applications require conventional guide solutions. If your knots do not need to pass through the guides, however, then it is not an issue.